How should we approach Communion as Catholics? Let’s not forget that this sacrament is also the third of the three rites of initiation: baptism, confirmation and Eucharist. It is through the Eucharist that we renew our baptismal and confirmation commitments to enter in and become the very body of Christ, i.e., to become more fully the church. Why should Catholics embrace this time during the Mass as a community, rather than as individuals? 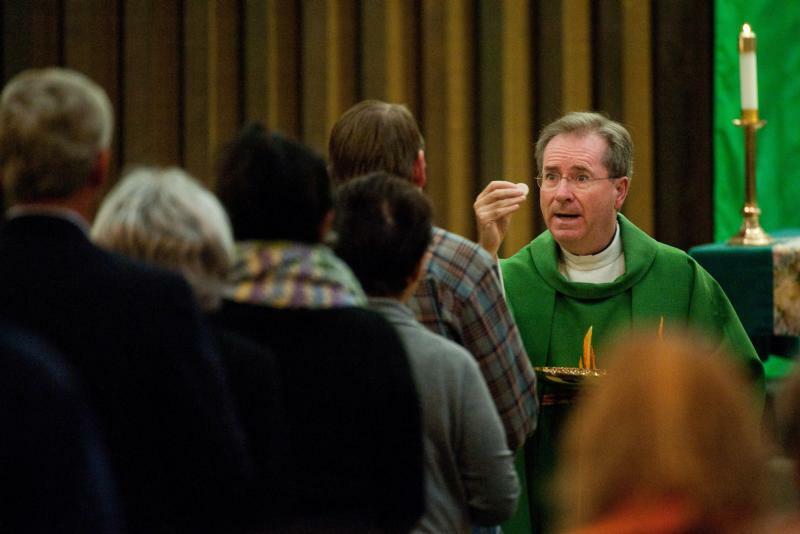 Reception of Communion is less about Jesus and me and more about how communion with Jesus makes us one, affirming our communion with the whole church. Our Communion song expresses with one voice our union with Jesus, one another and indeed with the whole church living and dead. This is one reason it is not appropriate to leave right after Communion, as so many sadly still do. To do so makes it appear that holy Communion is only about me and Jesus rather than the moment to become most a people gathered into communion with him. We are mostly such a community at Communion time. We should then return to our seat and complete the full prayer of thanks together. We are encouraged to stay, give thanks and only leave after we have been blessed and sent. Why is there a time of prayer that follows reception of Communion? We pray quietly because we are now intimately united to him. We recall that we have entered into full communion with the saints (mentioned in the creed) and with all those whom we loved and who have preceded us in the pilgrimage to heaven. There is much for which to give thanks. We thank God for this great food for our journey of faith — to strengthen us against sin, to help us to become more concerned for the poor, to become more of the body of Christ for the world we are about to enter as we leave Mass. Dudley, retired from the U.S. Conference of Catholic Bishops Secretariat for Catholic Education, consults on curriculum development, leadership and ministry formation through his company, Ambulans Vobiscum. He holds a doctorate in ministry from Graduate Theological Foundation in Indiana and lives in New Castle, Pa. PREVIOUS: Bread and wine, or body and blood of Christ?